It’s no secret that brands and retailers in the luxury market can be somewhat hesitant to embrace digital marketing and selling channels out of fear of diluting exclusivity. As such, luxury auction houses like Sotheby’s has long remained in the physical retail space. However, today, more and more demographics – including luxury shoppers – are moving online to fulfill their shopping needs, and in response, the market is gradually trying to adapt. Luxury shoppers are indeed an important demographic to reach. Recent research from BI Intelligence reveals that the top 10% of household earners (i.e. those that take home $120,000 or more annually) in the US account for approximately 50% of all consumer spending. And as this segment is turning increasingly towards online channels, how brands target these shoppers and facilitate their spending needs to evolve. Discretionary spending among the wealthy grew 6.6%, reaching $406 billion. Spending growth among the top 1% of earners also rose 10% in 2016. Between 2014-2015, spending dropped by 1% among average US consumers. But what’s perhaps the most notable revelation is that luxury shoppers are showing that they enjoy the convenience and competitive prices offered by online retailers such as Amazon, and are skewing in favor towards these marketplaces over official branded sites. Even so, luxury brands are still tending to “over-allocate” ad spending to print media, despite ad recall rates being higher for digital ads amongst luxury shoppers. Sotheby’s, however, is one luxury brand that is bucking this trend. In a move aimed at reaching more luxury shoppers – particularly younger, digitally-savvy ones – it partnered with eBay in 2014 to live-stream its New York auction on the marketplace platform. The idea was that it would enable many smaller-scale collectors to gain access to auctions that they would otherwise be excluded from. Since then, the number of online-only Sotheby’s auctions has been growing, and, according to Chief Executive Thomas Smith, it’s been great for business. Talking to Diginomica in August last year, Smith said that the initiative has attracted new buyers with big bucks to spend. While it’s perhaps true that it’s new customers with new expectations that are forcing Sotheby’s to devise a new approach to high-end art auctions, it’s also true that it would have been short-sighted for the brand to have put off its digital transformation any longer than it did. Online art sales are growing fast. Hiscox, an insurance company that specializes in art and monitors the market closely, reports that online art sales reached an estimated $3.75 billion in 2016 – up 15% from 2015. It also predicts growth of about 25% a year in online art sales over the next decade. 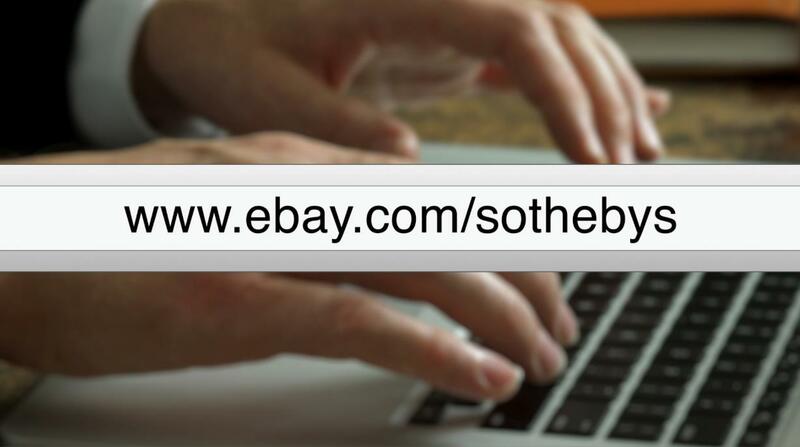 Now that Sotheby’s has established its partnership with online auction specialist eBay, it’s in prime position to capitalize on this rising trend. David Goodman, Sotheby’s Executive Vice President for Digital Development and Marketing, says that the greatest benefit of the initiative is that it gives the company access to customers it might not have otherwise been able to reach. As the number of buyers in the art market grows, and with luxury shoppers continuing to spend more and more in online marketplaces, establishing an online presence on one of the world’s best-recognized auction websites has been a smart move for Sotheby’s. What’s more, the relatively low new customer acquisition costs that come with opening up art auctions to already-established eBay users make for an attractive operating model which is easily scaled up. The last word goes to CEO Thomas Smith as he talks about the impressive figures that Sotheby’s achieved through the eBay partnership last year.